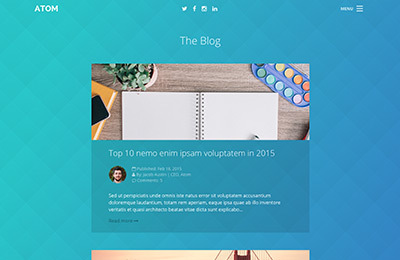 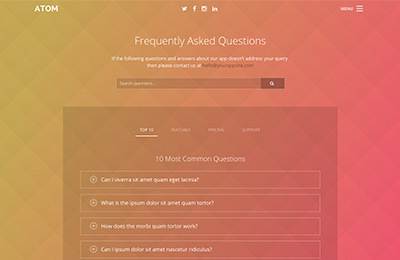 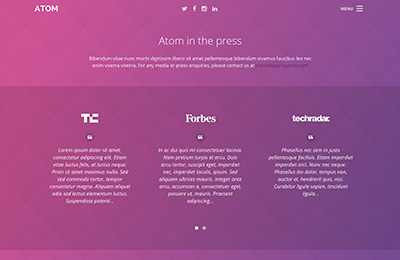 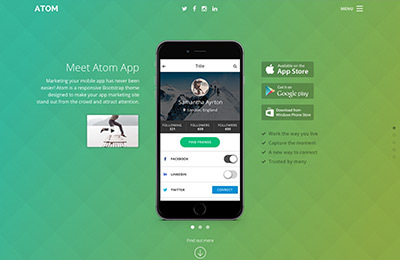 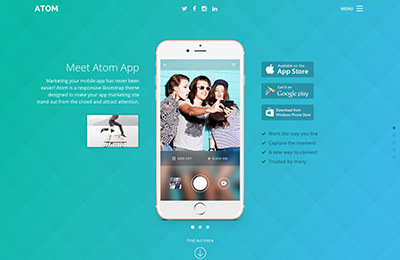 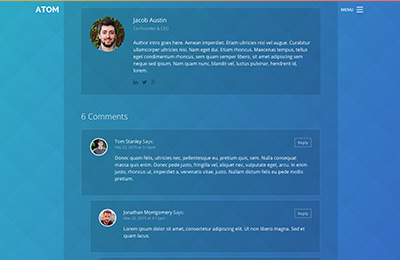 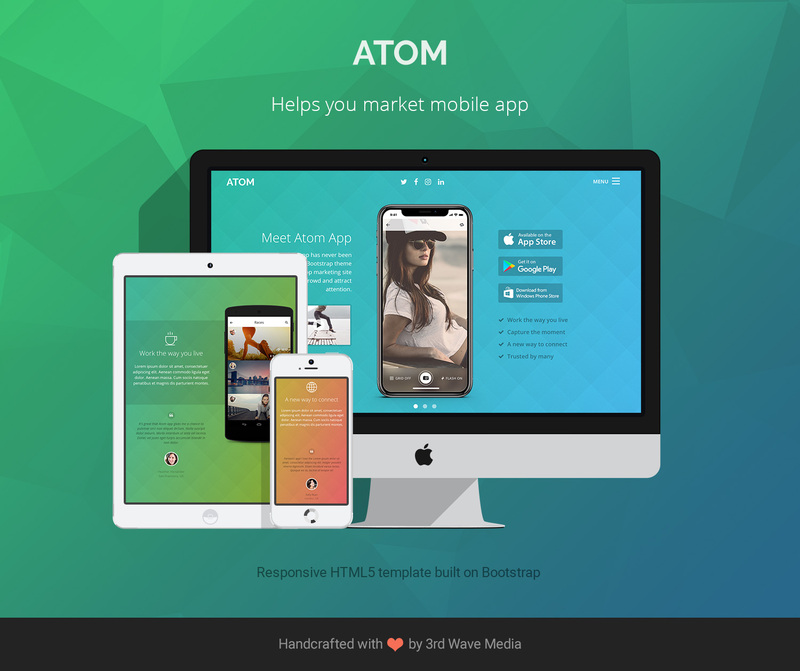 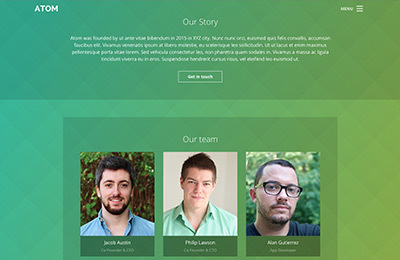 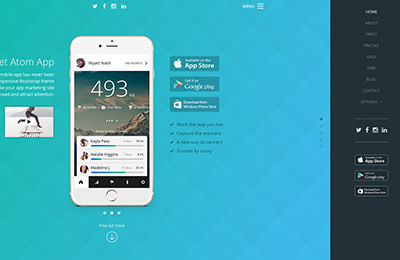 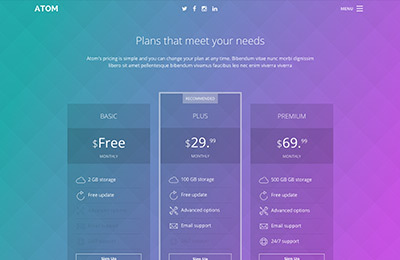 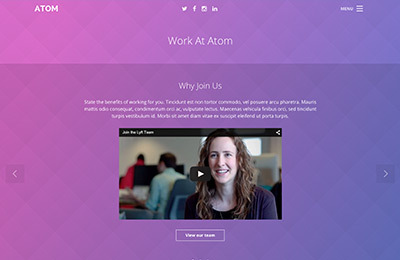 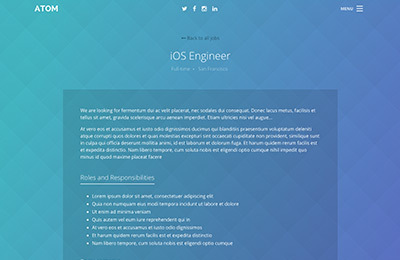 Atom is a Bootstrap 4 template for startups/developers to market their mobile apps. 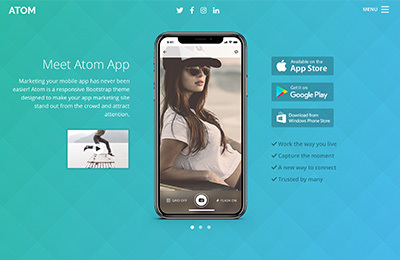 If you want to take your app marketing site to the next level and stand out from the crowd you don’t want to miss out on this template. 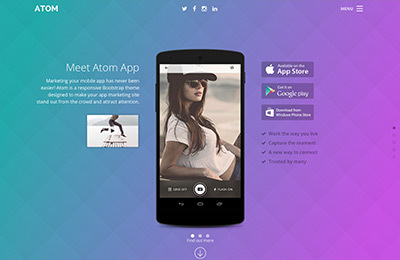 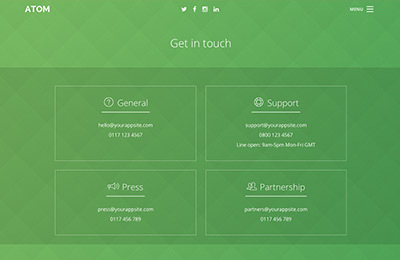 There are 4 options for customising the homepage to portray iPhone (X/gold/black) or Android (Nexus) devices. 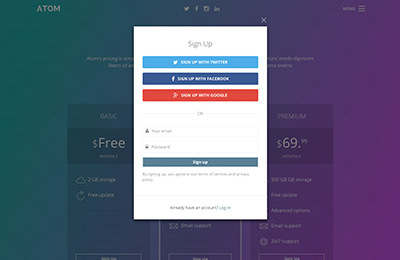 Fixed modal and side menu conflicting issue.